What keeps a person up at night is typically an incredibly defining characteristic. In the case of Heritage High junior Emily Smith, it’s anxiety: anxiety about how people perceive her. The most commonly discussed aspect of her life is her father’s occupation. Tyler Smith is a police officer whose duties are typically limited to school. You’ve almost certainly seen him in the halls, and you may even know him by name, but you might not have made the connection between him and Emily, considering the frequency of their last name. More than once, people have told her how much they hate her dad and then never speak to her again. The fact that her father enforces the law can place a filter over her, causing the perception that she’ll “tattle” or that she’s nothing more than a cop’s kid. Emily doesn’t want to be seen as just the cop’s kid because police work is part of her father’s identity and not hers. She doesn’t enjoy being limited to one characteristic that doesn’t have anything to do with her. The way that she does want to be perceived is as an approachable person—anyone’s friend, someone whom you can open up to. Emily does well in school and generally appreciates her education, but the question of whether or not she likes school isn’t so simple. Whether or not she’s content in school depends solely on the classes she’s enrolled in, as the teacher’s style affects both her and her learning. In our interview, she stated that some teachers near drove her to boredom while others consistently kept her involved and expressed the subject perfectly. The latter has been more common, so her attitude towards school has remained mostly positive since preschool. 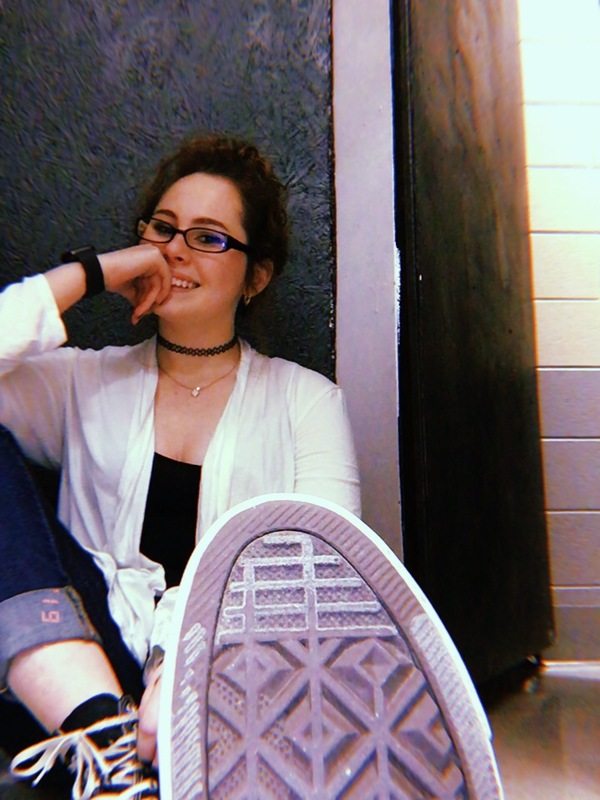 Emily is well-versed in American Sign Language, is a member of the ASL honor society here, and plans to pursue a degree and job in the field, possibly in teaching. She aspires to someday live in a large city, so as to avoid the loneliness common in such a sparsely populated area like the one we inhabit. This semester, she’s a second-time member of the Heritage High School Journalism class. What keeps her engaged in that course are the bits of news which she encounters, however mundane they may seem on the surface. When asked to elaborate on the subject, she stated: “I like to understand people and their perspective while still being engrossed in the story.” That interest is noble in the sense that she’s engrossing her audience in the same story, however small that audience may be. The most obscure of her characteristics is her miniscule handwriting, which you likely haven’t experienced unless you’ve paid close attention during a class with her. Her largest letters take up less than half the space that most people’s smallest do. Those tiny letters are neat and almost completely lacking in imperfection. However, it hasn’t always been that way: she only made the decision to write more carefully in fifth grade, when she tired of large, messy letters that were inconsistent in legibility. Emily Smith is more than just the cop’s kid, and all it takes is an interview to realize that she’s far more unique than her name.